If you haven’t heard this one, you really owe it to yourself to listen. In a lot of ways it is the most bizarre thing that Dylan has ever recorded. 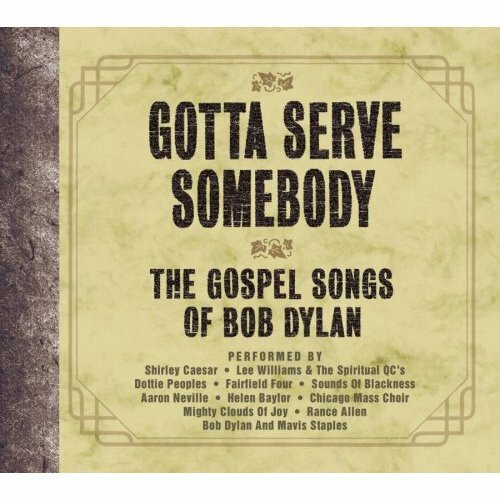 “Gonna Change My Way of Thinking” is Bob Dylan’s contribution to a compilation of covers of his own gospel songs. He sings it with Mavis Staples, of the Staples Sisters. All that sounds pretty straightforward. However, the song opens as Dylan solo, with the scratchiest Dylan voice we have yet heard on album, and then it stops after about thirty seconds. At this point Dylan says “Well it looks like someone is coming up the road, boys”. After a knock on the door, Dylan introduces Staples and the two have an old time radio show dialogue about Hawaii, chickens, and “SnoozeWeek”. Dylan tells her that he has the blues and she tells him that they need to sing about it to get over it. I mean, this one comes right out of nowhere. There was no part of me that thought I would be listening to Dylan and Staples doing radio comedy in the middle of this song. Gobsmacked, would be the word. What is even more surprising is that the song was nominated for a Grammy: Best Pop Collaboration with Vocals. Dumbfounded. The album itself was also nominated in Traditional Gospel Soul Album. That’s a lot to have to process. I can’t find a copy online anywhere (there are lots of videos of Dylan doing the song live, but that’s not what is interesting here). It is on Spotify (in Canada at the very least). Do yourself a favour and check this one out. Truly and utterly a bizarre moment. That’s what I get for blogging late at night and unthinkingly. 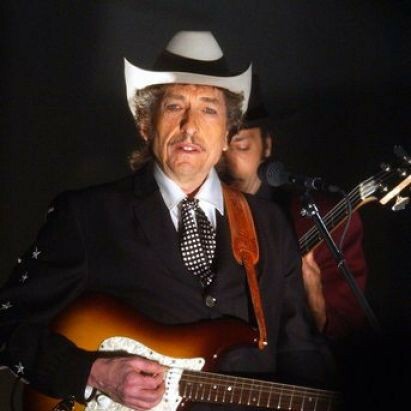 Of course, Graham is completely correct that the dialogue in this song between Dylan and Staples is based on the dialogue in “The Carter Family and Jimmie Rodgers in Texas”, with minor tweaks (you can almost see into Mexico from Rodgers’s house; you can almost see Hawaii from Dylan’s, for example). I should have caught this – I have a complete Carter Family discography, but since listening to Dylan all year I’ve begun to forget it all. Next year: nothing but Carter Family. The Dylan & Mavis Staples exchange is an updated version of a joint recording by Jimmie Rodgers and the Carter Family – at the time the premier ‘hillbilly’ recording artists. Listened to in the light of the originals (there were two, and the Dylan/Staples draws on both) it is at the same time more understandable, funnier, and affectionate.